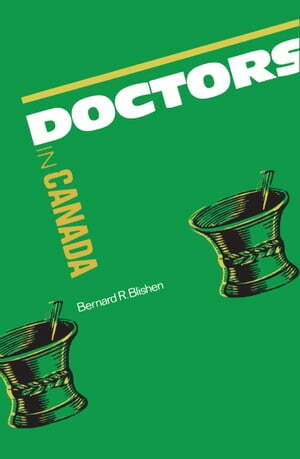 Collins Booksellers - Doctors in Canada by Bernard Blishen, 9781442633827. Buy this book online. Through the twentieth century, the nature of medical practice has changed more quickly, more dramatically, and far more publicly than that of any other profession in Canada. In this study Bernard Blishen identifies the social and political pressures on the medical profession and assesses how it has responded to them. Among the changes doctors have confronted are third-party pressures from government and hospital bureaucracies, greater public knowledge, improved technology, recognition of patients’ rights, and legal challenges. Blishen discusses how the doctors achieved dominance in the health field, reviews demographic changes within the profession and the larger population, examines data on the changing health status of Canadians, and charts physician supply against patient demand. He finds that the chief source of his profession’s collegial strength has been the homogeneity of its membership. This homogeneity is declining with increasing numbers of women and ethnic groups in the profession and increasing specialization. Blishen offers a comprehensive, quantified overview of a profession in transition, and suggests the implications of its changes for all Canadians.